Thank you for tuning in this week. Welcome to new viewers and welcome back to returning viewers. Particular thanks to our Patreon subscribers, who keep the show on the air month after month! This week was the Live Streaming episode so it’s a longer show. 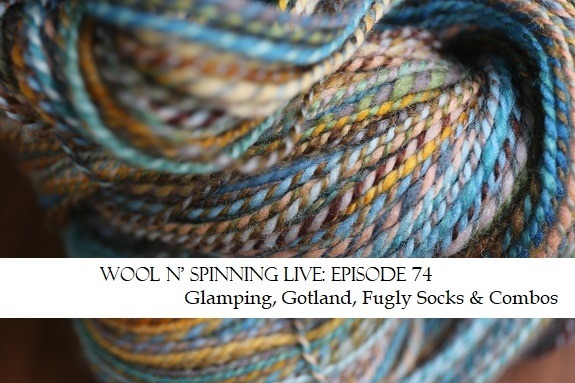 I chatted about this month’s SweetGeorgia fibre club called Glamping, my Colour and Breed studies spin that I’ve completed, my finished socks and other pairs almost finished, and lastly, I chat about my recent combo spin for the #combospinSALKAL that has taken the spinning social media internets by storm! I hope you enjoy the show! Previous Post my Fall Days shawl.